Have I ever mentioned how much I LOVE the crockpot? It is SO easy, and I enjoy easy. 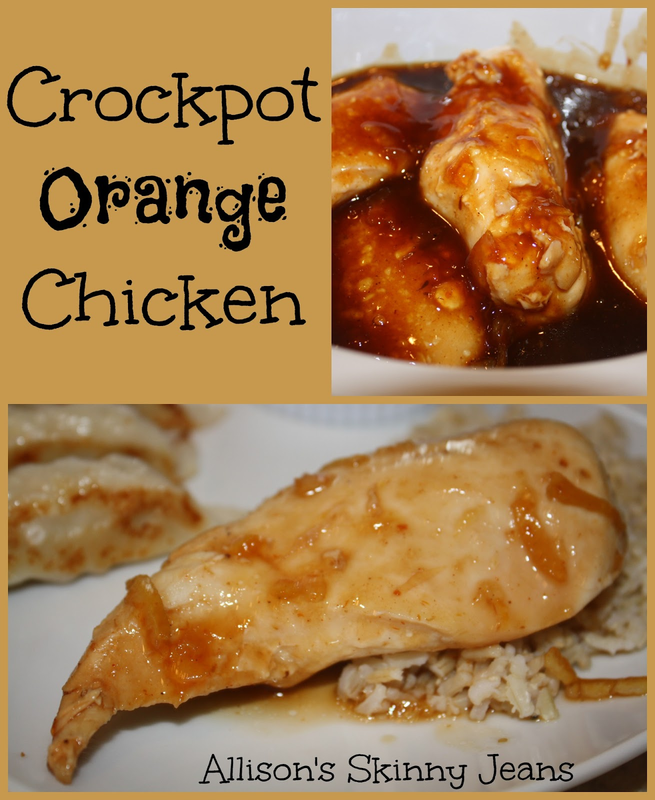 I found this awesome recipe for Crockpot Orange Chicken from TheFrugalGirls.com. I'm not a big oriental food eater, but this was right of my alley. I made a little extra because my mom and mother-in-law came over to enjoy this homemade dinner! 1. Cook the chicken in the crockpot on high for 3 hours (or low for 6-7 hours). 2. After the chicken is cooked, drain the juices. 3. Mix together the orange marmalade, BBQ sauce, and soy sauce. Pour the mixture over the chicken and cook on high for an additional 30-45 minutes (covered). I served my chicken with brown rice and some pot stickers. No, pot stickers aren't healthy - but we have so many in our freezer from our wedding and we rarely have them, so this was the perfect opportunity. This would also be great with some stir-fry veggies. This Stir Fried Chicken recipe is truly delicious. I want to try to taste this one. I will ask my wife to help me to cook this recipe and I wish we can do it right. Thank you for posting this. It sounds yummy and quick and easy. oooh that looks delicious. My daughter loves orange chicken so I am going to have to make this for her. Pinned! visiting from Green Willow Pond linky party. Thanks for stopping by! Let me know how it turns out! I had never made it myself until I found this recipe! So easy! I love anything crock pot, and if it was on Frugal Girls, you know it's going to be good! Thank you so much for sharing at Wake Up Wednesdays! Yes, it's definitely a keeper recipe. Thanks for stopping by!